Zydeco, Cajun, Funk, Brass Bands, Swamp Pop … and more! Tune in for our eclectic jam of danceable sounds from across the great state of Louisiana! Talia and Bill take turns hosting this show on alternating Mondays, 7 to 9 pm. 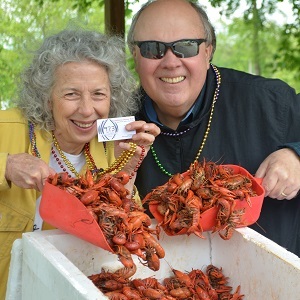 In addition to crawfish, Talia serves up Cajun, Zydeco and Swamp Pop — and Bill adds a heaping helping of Funk, Brass Bands, Jazz and Blues to the mix! Fan of Louisiana Dance Hall? You might also enjoy fellow WRIR program Edge of Americana. As always, thanks for listening — and we love to hear from you! We have a new CD out of local music called HopeFiendZ: Songs of Opioid Recovery. It supports friends4recovery.org I hope to drop off a CD soon, it might fit in your show. Agreed!! Where is the 9/17 playlist??? Is there no playlist from Sept 17th? Heard a song from that time slot and would like to know what it was. Good morning, J! Sorry for the delay. 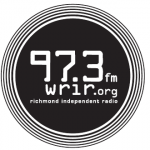 9/17 blog and playlist are now posted at wrir.org – today’s front page; click on the logo and it should show up in the scroll. Sept.17 was the day of the heavy rain and tornadoes; felt a little swampy. Thanks so much for your interest and patience. I cannot wait to see the playlist!! Great show tonight.